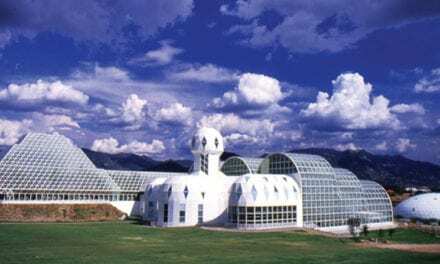 Biosphere 2 was the world’s first experimental laboratory for global ecology. Sir Ghillean Prance, working with NY Botanic Gardens and Kew Gardens, designed the rainforest area of the facility, testing strategies that will be important in preserving rainforest diversity. Dr Mark Nelson was a member of the biospherian crew for the daring 1991-1993 closure experiment. Biosphere 2 demonstrated important lessons relevant for improving our relationship with Earth’s biosphere (Biosphere 1): the technosphere can be designed to support life without harming it; new roles for humans as atmospheric stewards; innovative bio-technologies to recycle wastewater and purify air; high-yield regenerative agriculture without use of chemicals set world records; humans as keystone predators, intervening to protect biodiversity; shared dependence on the biosphere overrides group tensions and subgroups. The experiment’s surprises underscored how much is still unknown about biospheres. 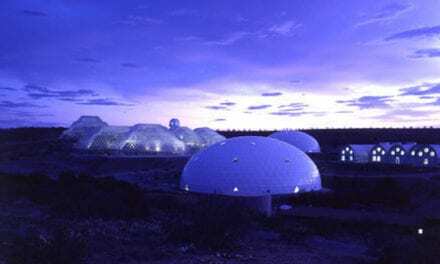 Biosphere 2 caught the world’s imagination, tapping into the desire of people to reconnect and forge a new relationship with our planetary biosphere. Its lessons are increasingly relevant in the Anthropocene. 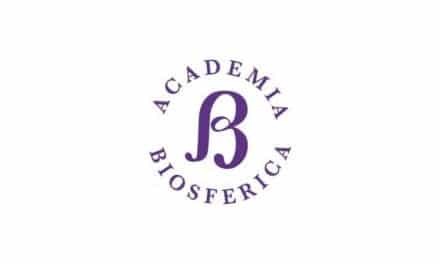 Dr Mark Nelson is the Chairman of the Institute of Ecotechnics (UK/USA) which consults to innovative field projects in challenging biomes. His research includes closed ecological systems, ecological engineering, restoration of damaged ecosystems and wastewater recycling. His books include “Pushing our Limits: Insights from Biosphere 2” (2018, Univ. Arizona Press) and “The Wastewater Gardener: Preserving our Planet One Flush at a Time” (2014, Synergetic Press). Sir Ghillean Prance FRS PPLS has conducted 39 expeditions to study the Amazon flora. 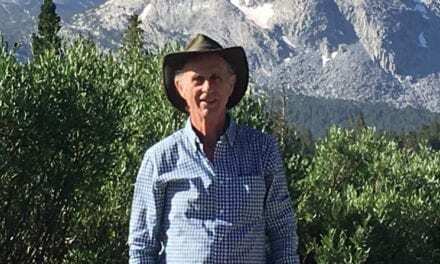 He is a former Director of the Royal Botanic Gardens, Kew, author of 24 books and monographs and extensive papers on the taxonomy of tropical plants, ethnobotany and conservation. He was involved with the development of rainforest biomes at Biosphere 2 and at the Eden Project.